Description You've always wanted a ship to call your own; finally the time has come when you find a map to the Golden Isle! Save up enough coins in order to buy a ship and sail the seven seas! Use Arrow Keys to move around and jump. Space/CTRL will allow you to shoot down your enemies! 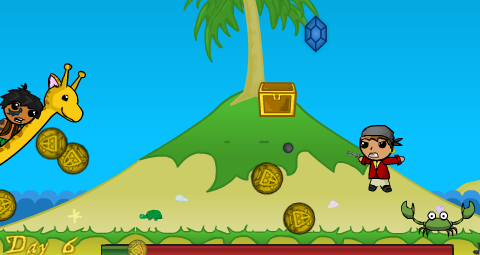 Collect as many coins as you can!